In simple terms, ergonomics is the science of designing and arranging things people use—and in an office context that includes seating, workstations, and computer accessories—so that the interaction between those people and things is efficient and safe. It may also be referred to as biotechnology, human engineering, or human factors. 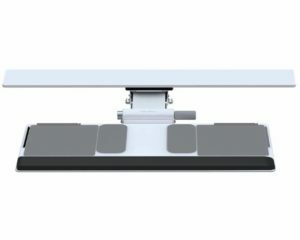 Ergonomics also describes the design characteristics of an object that result from applying the science of ergonomics. 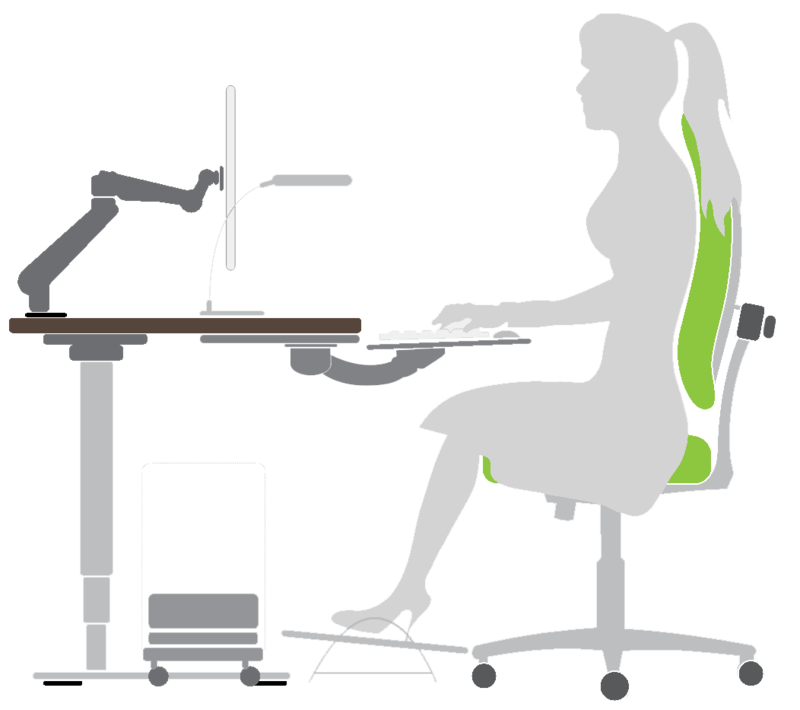 An ergonomic chair, for instance, might be one that encourages better posture, provides better support, and has more adjustment options to fit each user better. At the individual level, the obvious answer is “because it feels better.” Continuously working in a way that’s bad for your body will eventually lead to pain and discomfort, so correcting those conditions with smarter products and practices will avoid injury and keep you feeling fine. 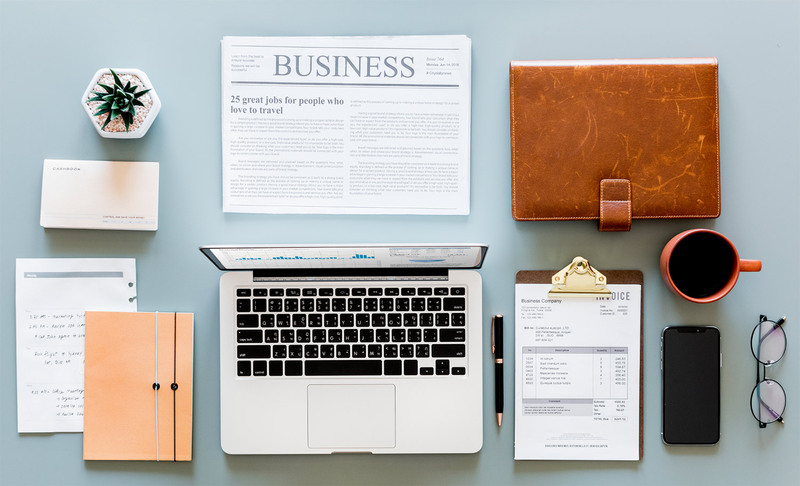 At the company level, Work-Related Muscular Skeletal Disorders (WMSDs)—including back and shoulder pain, and muscle strain—are a costly consequence of an unhealthy work environment. Over the course of four years in Ontario alone, employers spent about a billion dollars on WMSDs. It’s also true that these types of injuries happen gradually and often don’t get reported until they’re severe, so treatment can end up being lengthy and expensive. How Do I Ask My Boss For A New Chair/Desk/Accessory? So now you know why an ergonomic work space is important, but what if you rely on your employer to provide the right equipment? 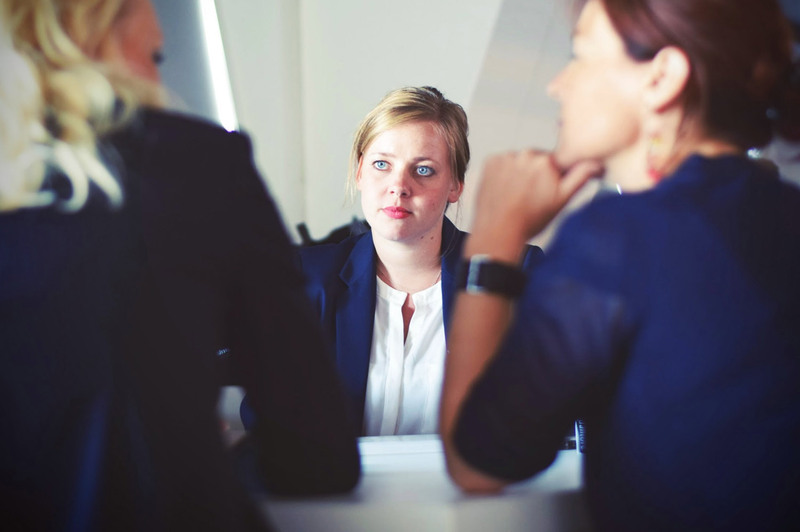 Here are some tips for having that conversation: Explain why it’s important to you. If your current chair causes you stiffness or pain, that’s something your boss should know. Tell them how it affects your comfort and productivity. Explain why it’s important to them. Company costs and profit will always be a consideration when making purchases, so use that to your advantage. Point out that proper ergonomics results in fewer work-related injuries, less lost time, and higher productivity, so what’s good for employees is ultimately good for employers. Provide options. Your boss might associate “ergonomic” with “expensive,” making price the issue. Although good quality products are always going to cost a little more, ergonomic furniture doesn’t have to break the bank. Offer to shop around and provide a range of options, or ask for a price limit and then start there. Lumbar support. 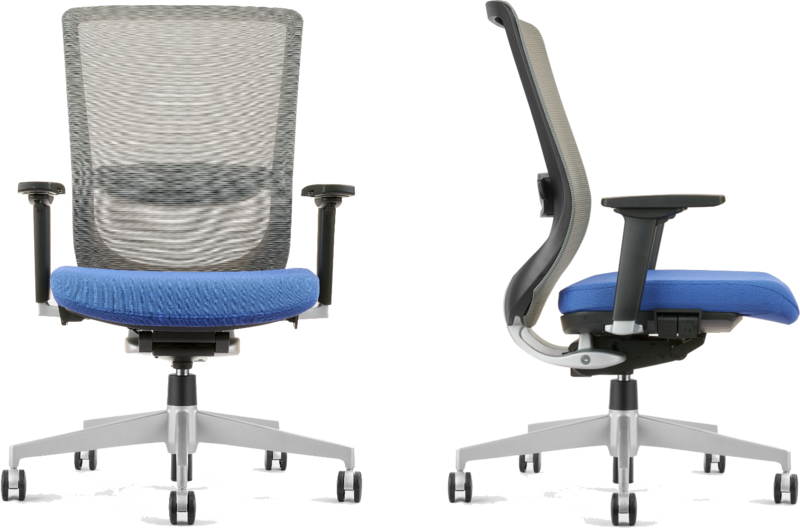 A good office chair will support your lower back, and some even offer adjustable lumbar support for a personalized fit. Adjustability. Most office chairs have height and arm adjustment, but the best ones offer considerably more options. Look for adjustable lumbar support, seat and back angle, and tension control (how much your seat tilts forward or back when you do). 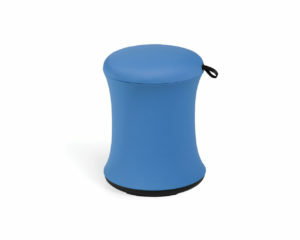 Swivel base. Your chair should swivel freely so you can easily reach various parts of the desk. Fabric and cushion. Covering fabric should be breathable to allow cooling air flow, and there should be enough cushion to support you through an entire work day. 1. Maintain Good Posture Keep your back straight. With your head balanced above your neck, and arms resting at your sides comfortably. 4. Place Keyboard and Mouse Keep them close to each other on the same level, with the home row of keys easy to reach with your elbows positioned at 90 degrees. As you type, your wrist should be straight. 2. Adjust Seat Position your hips a bit higher than your knees, with your feet on the floor/footrest and your lower back supported. 5. Rest Regularly Every 20 minutes or so, take short, 15-30 second breaks. Take a few longer breaks during the day. 3. 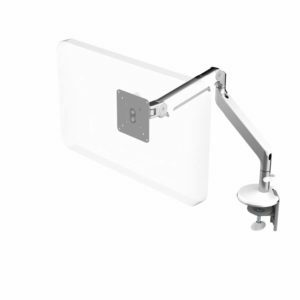 Position Monitor Raise or lower it so you can clearly see the whole screen without tilting your neck up or down. Tips courtesy of Steve Meagher, from ergonomics consulting firm Site Solutions. As office furniture specialists, we’re also experts in ergonomics in the workplace. 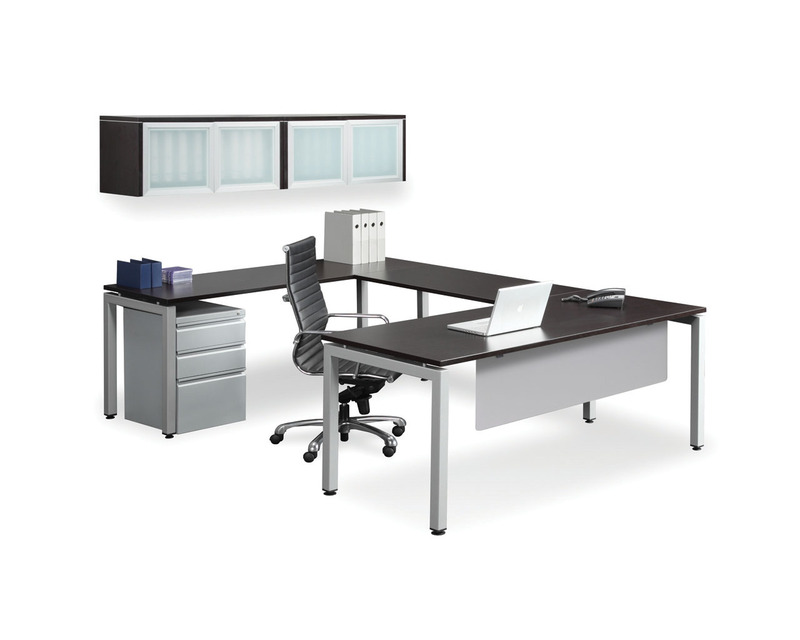 We carry a variety of ergonomic office furniture products to help alleviate pain caused from improper working positions. Some of our most popular products include ergonomic chairs, ergonomic desks and accessories that help increase correct ergonomic positions. Our space planning specialists can help you set up a correct working environment, including assisting in finding the right ergonomic office furniture piece for the task at hand.